WISU WSEE Erie News Now reports "Optimism for Viaduct" — Why Save the Viaduct? To Keep Kids Safe. WISU WSEE Erie News Now reports "Optimism for Viaduct"
"1.7M in demolition funds can be transferred and used to rehab the Viaduct." 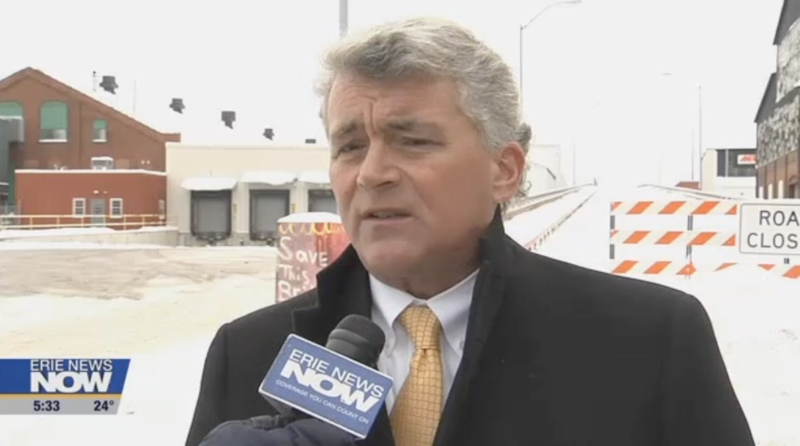 Former Mayor of Erie, ErieCPR Attorney Rick Filippi, said that the news of $1.7M in funds available to fix the Viaduct "changes the the whole paradigm." He noted that "not only is the money (for demolition) not in jeopardy, but there is MORE money to repair and rehab that anyone thought." Given this news and the hopeful talks with PennDOT, Filippi said "we would like to keep working with state and local officials" rather than filing an adversarial injunction. 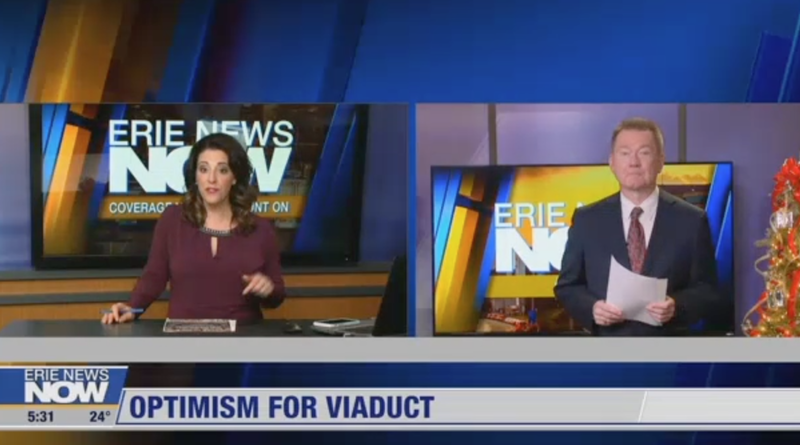 John Last (Erie News Now WICU & WSEE) explained that $1.7M in demolition funds can be used to fix the Viaduct and that "some arguments the city has been using to hasten demolition simply aren't true." John Last (Erie News Now WICU & WSEE) explained that "$1.7M in funds earmarked for the demolition can transferred be used to rehab the Viaduct." Councilman Andre' Horton, who represents the neighborhoods surrounding the McBride Viaduct, commented that if the Viaduct is torn down, the only remaining route to school (along the Bayfront Connector Highway) is not one he would want his "children or grandchildren to endure".